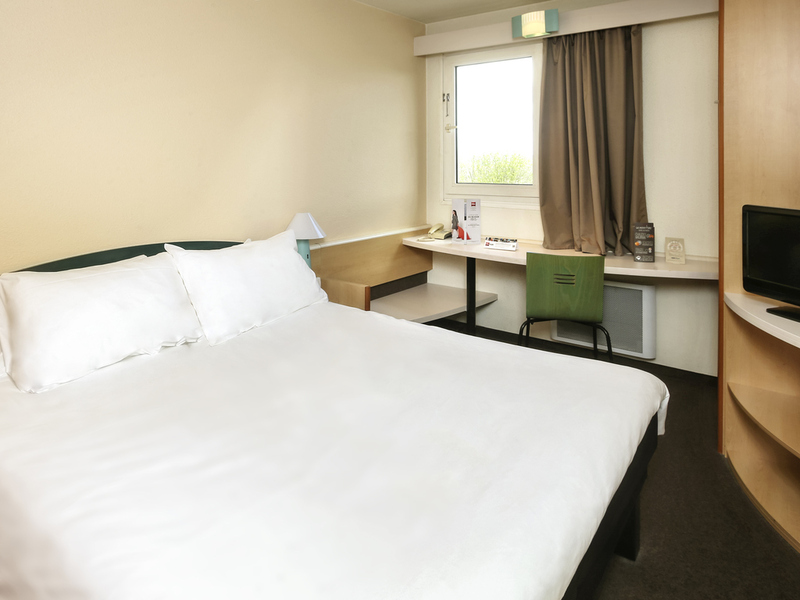 The ibis Auxerre Sud hotel is located at the Venoy Soleil Levant rest area. From Paris, take exit 20 for Tonnerre, take the first left after the toll booths, then follow signs for the hotel. From Lyon, there is direct access from the Soleil Levant rest ar ea. Our hotel is located on the "Route des Vins" wine route, 10 mins from Chablis, Auxerre, the Abbé Deschamps Stadium and Saint-Etienne Cathedral. Chablis wine-growing region: 10 min, Route des Ducs de Bourgogne: 20 min, Guedelon: 40 min. 10 min from Auxerre old town and the Canal du Nivernais. On the Camino de Santiago route, 40 min from Vézelay. Buffet breakfast served from 5:30am.